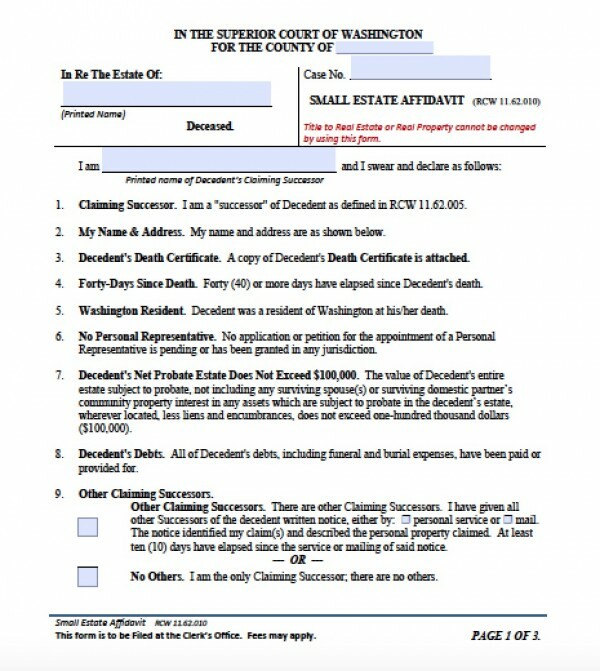 Per the Washington state heirship law, “successor” is defined as a family member or any other individual who can claim ownership of the real estate property of a deceased individual. This does not include creditors, except for state-run agencies like the Department of Social Services. These interested parties may file the small estate affidavit to claim real estate property, from homes to land, valuing $100,000 or less. 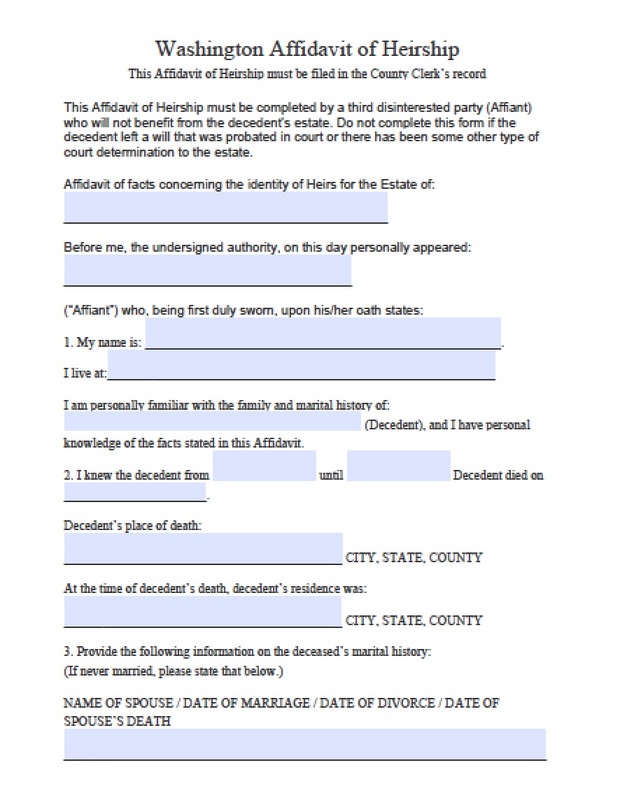 There may not be a will, other claims to the property in probate court, and the value of the property excludes liens and encumbrances like mortgages. The parties must wait at least 40 days since the decedent’s passing, per Wash. Rev. Code §§ 11.62.010 and following.